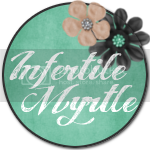 The Infertility Overachievers: My Nook, My Love. So I got a Nook...and I LURVE it! No Seriously, I LOVE IT! Over the last 30 days since I bought it I have read, 8 books! Twilight 1-4: I seriously loved these. I wasn't a huge fan of the movies, but I really needed to see how things were going to end in the last movie. So I did what any good cheater would do, I read the books. :) I loved the way it ended, no spoilers from me, but I can't believe Edward dies. KIDDING! I'M TOTALLY JOKING....Edward doesn't die.....OR DOES HE? I said this loud as I was walking out after watching Breaking Dawn part 1...on opening night...as everyone was waiting in line to see the movie after me. I'm horrible, but this guys reaction was hilarious. Yes of course I told him I was joking, but it was funny none the less. The Hunger Games 1-3 OMG, these book are so sooooooooooooooooo (not enough o's to really explain how I feel) good! They were recommended to me by my awesome Bloggy readers and Facebook friends. I honestly did not think they were going to be my style by reading the excerpt, but these books have seriously become my favorite series of all times. I can not WAIT for the movies. I really hope they do them justice. The Help: Oh how I loved this book. It was so great, and the best part is I've caught myself saying "Chilun's" not once but twice since I finished. Getting back to my southern roots! Currently I am reading Water For Elephants. I've become quite the reader over the last 30 days. My Nook as been awesome since I can read and turn the pages one handed. I spend a lot of time in the glider nursing baby Holden these days and using two hands to read is just not an option. I'm pretty sure my Tivo is plotting the assassination of my Nook. Poor Tivo has been so neglected since I got the Nook. I haven't even finished watching the newest episode of Teen Mom 2. I'm pretty sure Tivo deleted it early for some sort of passive aggressive revenge, but that is just speculation. Love Twilight series, The Help and Water for Elephants!! I need to start the Hunger Games, everyone keeps saying how good they are! Okay, you crack me up! I literally just wrote almost the same post (scheduled for tomorrow), word for word (including the part about being so behind on Teen Mom 2 its ridiculous!). Um. Hunger Games? Best. Books. Ever. Love them and I'm dying to see how the movies do when they come out. I think I watch the trailer for the first movie at least once a week. All of the books you mentioned were faves of mine as well. Now I just need to buy a reader and I'll be all set! if you loved hunger games read Divergent! The second book is coming out in May!! Ok That's it. Your's is the 4th or 5th blog that has given rave reviews of The Hunger Games. Obviously my life will not be complete without reading this. Thanks for the other recommendations as well! 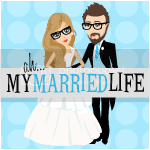 And I love your blog, it's so nice to find some inspiring success stories for IVF couples. A Man and His Smart Phone.